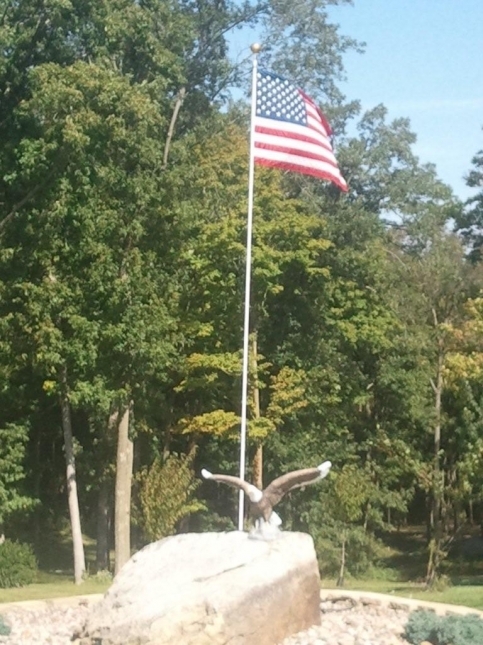 TJ's Fencing offers the highest-quality flagpole on the market. It withstands extremely high winds, and has no slivers! Your flagpole will consist of a fiberglass rod that comes painted and can be sized to your height or flags needs. This pole is wall-mountable and can be installed without expert assistance or heavy machinery. New additive in our paint now prevents & protects against the growth of mold & mildew. To install, you may pound the pole into the ground about 2' with a post-hole pounder. There is no need to cement this post into the ground. Next you would connect the other2 posts together with our steel connector, and bolt it together to finish! Call TJ's for more information.